Summers at Camp Yavneh are technology free (except for a few items, see below). Camp is a time for children to unplug from digital life and fully engage in camp activities. Separation from technology allows children time and space to forge and maintain relationships, solve problems on their own, connect with nature and cultivate a strong bunk community. We ask for your help in sustaining such an environment. The following devices are not allowed at camp: all types of cell phones, video players, video games, tablets, laptops, smart watches, e-readers, google glass and video cameras. Any device that has internet capability is NOT permitted at camp. Please note, campers travelling long distances can bring their cell phone. We will store them in or safe until the camper’s departure. Camp Yavneh takes our technology policy very seriously. If a camper is found with a prohibited electronic device at camp, the device will be immediately confiscated and mailed home at the parent’s expense. A $200 fee will be added to the parents’ account and other repercussions will include, but are not limited to, missing a day trip of the camp’s choosing. Thank you for your cooperation in helping us promote a more meaningful experience for our campers. Please share this policy with your camper! All food at Camp Yavneh is strictly kosher, overseen by a full time mashgiach. The kitchen staff is extensively trained on the laws of kashrut and food safety. 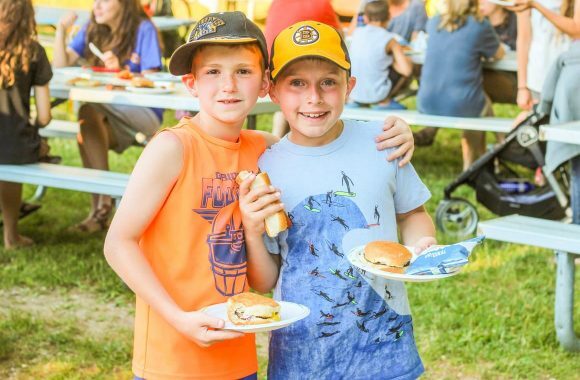 Camp Yavneh offers both nutritious and delicious food at each meal, striving for low-fat, high protein ingredients. There are options for special diets as well. Food at Camp Yavneh is delicious. Kitchen staff considers the desires of the campers and offers a variety of food choices. Breakfast includes cereals, bagels, yogurt, fresh fruit, juice and cottage cheese. Depending on the day, campers can also choose from eggs, pancakes, french toast, muffins and more. Lunch and dinner options include pizza, grilled cheese, fish filets, chicken, spaghetti and meatballs and schnitzel. Seconds are always available. And once a week, there is a bar-b-que buffet with hamburgers and hot dogs. For vegetarians, there is a salad bar with lots of fresh fruit and vegetables, a vegetarian option at all meat meals and a pasta bar for lunch and dinner. 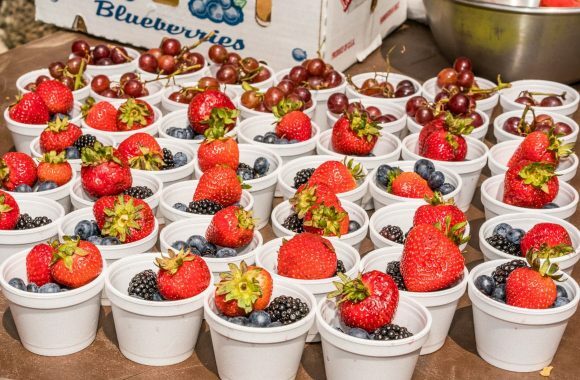 Fresh fruit is always available for a snack in between meals. And dinner includes a freshly baked dessert from the onsite bakery. The following items are included in camp tuition: food and snacks, laundry, yearbook, camp trips and two t-shirts. The following items are additional costs, charged to your account and settled at the end of camp: prescription medicines not covered by your insurance, health related co-payments, glasses repair, toiletries, life guarding books and fees, UPS shipping or other fees or items specifically related to your child. While older campers like to bring their own money, please limit the money they bring to camp. Gurim and Kfirim campers (ages 8-11) should not bring extra spending money to camp; however, you are encouraged to send along money to donate for tzedakah on Fridays (small change is sufficient). When you register your child/ren to camp, you have the option of adding money in your camper’s Kolbo account. Kolbo stocks camp essentials that your child needs to replace items forgotten at home like toothbrushes, lip balm and flip flops. Campers can buy Yavneh gear including hats, tee shirts, sweatshirts, etc. All Kolbo purchases are deducted from your child/ren’s Kolbo account. You can add more money to your child/ren’s Kolbo account online at your My Yavneh account. Any money left over in your camper’s Kolbo account will rollover into next year. 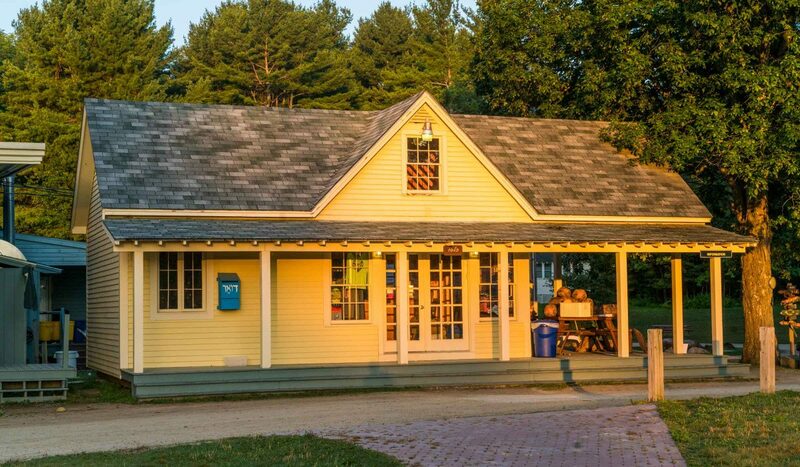 Camp Yavneh does not allow parents to tip camp staff. If you would like to recognize outstanding service and dedication of a camp staff member, we encourage you to donate to Camp Yavneh in their honor. Pro Tip: Recognizing a special staff member through the purchase of a Derech Dov brick or contributing to the sponsorship fund is an amazing tribute to a job well done. See more details on our our website. Camp facilities are well-maintained so they will last for many years. We have not had many problems with campers purposefully defacing camp property; nevertheless, graffiti and property damage will be the campers’ and their parents’ responsibility. There will be a $100 minimum charge for each incident of graffiti or damage. Camp Yavneh strives for a safe and secure environment for all campers. As such, there are zero-tolerance policies regarding illegal substances, weapons or bullying at camp. The camp administration reserves the right to dismiss any camper for violation of camp safety rules including alcohol or drug use or bullying. In such instances, parents will be notified immediately. If a camper is sent home for a disciplinary or any other reason, no refunds will be made. Camp Yavneh does not allow gum at camp so please do not send gum with your campers or mail it to them during the summer.